The Dering Arms at Pluckley was built in the 1840's originally as the hunting lodge serving the Dering Estate, one of the largest estates in the area at the time. It's actually a replica of the main manor house (only to a smaller scale), and the grand façade features mightily impressive Dutch gables and other architectuctural features. Seasonal seafood is the kitchen's forte and the regular menu is boosted by daily blackboard specials like moules marinière and monkfish with bacon, orange and cream sauce. 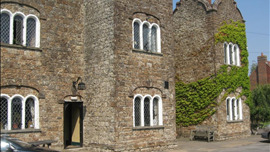 Dering Ale (the house beer) is brewed especially for the pub by Goacher's of Maidstone, and Jim Buss is also keen to promote real ales from other independent breweries. The wine list is broad enough to cater for all tastes and there are some real gems which are very reasonably priced. and flashed under the grill. Spinach tossed in shallot butter. Honey glazed carrots with toasted sesame seeds. 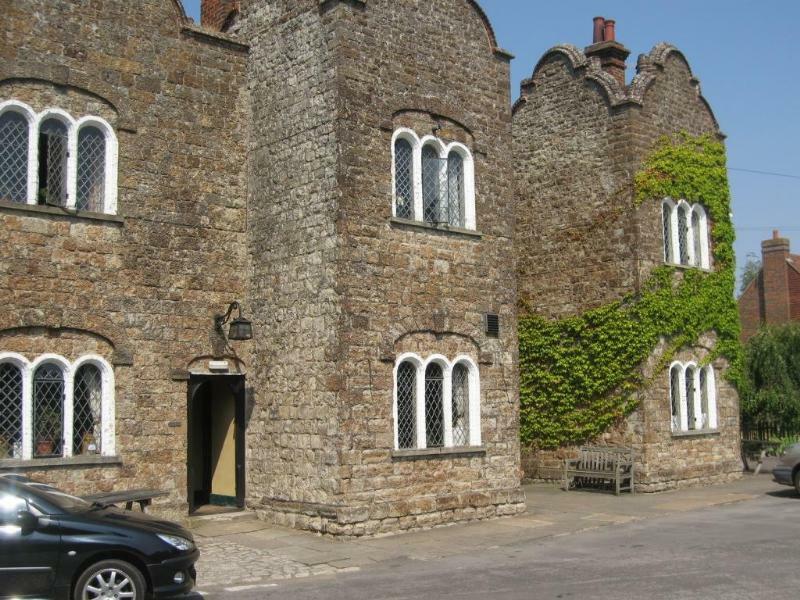 The Dering Arms at Pluckley is one of the most impressive looking pubs in the south east, this handsome stone manor was originally constructed as a hunting lodge for the Dering family in the 1840s, and it look more like some baronial manor than a local hostelry. 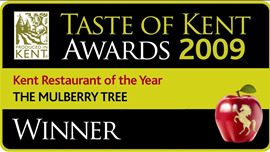 The Mulberry Tree is situated in the genteel Kentish village of Boughton Monchelsea, just 4 miles from Staplehurst and it now sets out its stall as a contemporary country restaurant and bar.